The man who wants to operate a medical marijuana production facility in Tinley Park says strains of cannabis sativa developed at his Colorado and New Jersey facilities have been particularly successful in treating seizures in patients. “That’s my specialty,” said David Weisser, who hopes to grow specialized marijuana in a 35,000-square-foot operation near the intersection of Harlem Avenue and 183rd Street. Weisser told the Tinley Park Plan Commission last week the marijuana he grows contains large amounts of cannabidiol, which the National Cancer Institute says can reduce cancer’s side effects and, in some cases, cancer itself. Lobbyist Don Storino said marijuana grown in the Tinley Park operation would be “very, very low if not negligible” in delta-9-tetrahydrocannabinol, the primary psychoactive ingredient in cannabis and associated with recreational drug use. 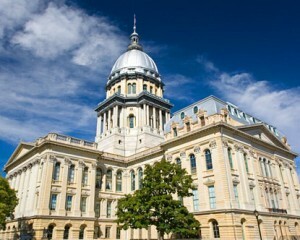 Weisser and Storino spoke at the meeting as part of the process of obtaining a special use permit for the proposed cannabis cultivation center he calls Illinois Compassionate Care, LLC. The state is expected to award 21 cultivation-center licenses — one for each state police district — at the end of the year. Weisser is competing against more than a dozen firms for the District 5 license. The district mainly consists of Will County but also includes portions of Kendall and Grundy counties. Weisser’s intended location is in a small part of Tinley Park conditionally approved earlier this year for a medical marijuana cultivation center. If licensed by the state, the facility would operate 12 hours a day, seven days a week, employing approximately 50 people. The product would be distributed to the 60 licensed dispensaries in Illinois. There would be no retail transactions at the location. Weisser said the operation would be very low-key. Weisser told commissioners marijuana containing high CBD amounts is being used to wean addicts off heroin. He also said the Colorado and New Jersey cultivation centers he and his father, Michael, operate produce pills and tinctures and are working on a transdermal patch. “We’re just on the tip of the iceberg to see where this is going,” he said. Responding to questions, Weisser said he has six years in the industry, moving into it from business management after his mother’s death from cancer. Daria Sheryl Weisser’s death has been the impetus for a family charitable foundation for children and for nonprofit cannabis cultivation by Weisser father, son and associates in New Jersey.